If you’re a parent, you’ll know the particular humour of realising that your toddler has a busier social schedule than you could ever dream of. There’s the nursery, the play-dates, appointments with doctors, and that’s not even starting on making sure that all the relatives get to spend time with them. By the time you’ve tucked them up in bed, you’re far too shattered to even think of painting the town red, so your own bed looks incredibly tempting as well. Instead you start on the chores you’ve had to put to one side all day while attending to your toddler’s ever need, and god forbid you should find yourself with any time to date, let alone even meet someone who isn’t already exhausted with their own toddler. Even holding text conversations is a mammoth exercise in time management when trying to satisfy a tiny tyrant’s every whim at the same time. Parents who stay together may be able to sacrifice their time, but when starting a new relationship you need to be able to give it your all. So, how can you organise yourself to give yourself the best chance to keep both sides of your life happy? It seems blindingly obvious that evenings are absolutely the best time for a single parent to date, but you’ll need to be upfront with your date that your staying over at theirs isn’t always going to be an option. Even if you’re lucky enough to get one of your own parents to babysit for you on a regular basis, they’ll certainly be reluctant to be up all night, especially if they work too. This means you’ll have to think long and hard about whether you can cope with your child finding a stranger in bed with you in the morning. If your child is at nursery or school you at least have the luxury of knowing that you have set times available during the day. If the person you’re dating, or hoping to date, works a traditional 9-5 job then this may not always be helpful. That said, if you can find time alone together during this time (even if only for lunch dates) then this can be a great way of seeing each other when not exhausted from looking after your child. This needs to apply to both of you. Almost the first conversation you need to have with any potential partner needs to be around your child. This is so that they are aware they’re not just dating you, but taking on a child as well. You already know that you need to be able to react to your child’s being ill or having an unplanned playdate, but your partner needs to appreciate this too so that if you have to cancel at the last minute it’s not down to you being flaky. Instead it’s you putting your child’s needs first. If you can’t get a babysitter, then you might suggest a movie night in instead of going out, and your potential partner needs to know this might happen on a regular basis. 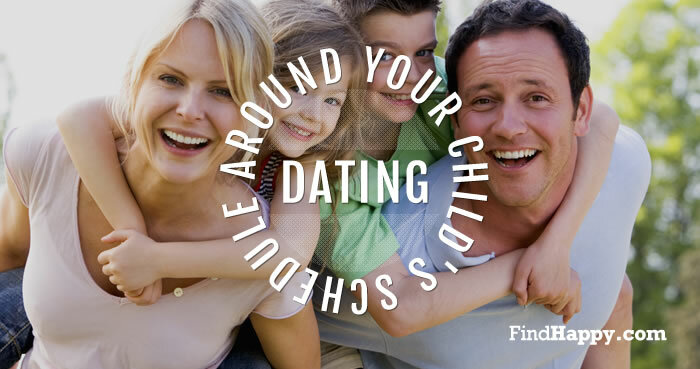 Once you’re comfortable with your date and are sure they’re planning on sticking around, then you can get round the schedule problems more easily by suggesting they come do things as a family – going to the cinema, or visiting zoos or farms, anywhere away from the home setting and getting your child used to seeing your new partner in non-threatening surroundings. Dating around the demands of a small child isn’t easy, but with clear boundaries and time management it is more than possible. Even better it can give you a boost in self-confidence that can help you cope with the ups and downs of parenting more easily. As your child gets older you’ll find yourself with more time, but you don’t need to wait until that happens. Keep a positive attitude and embrace the possibilities!